Milk prices are expected to rise nearly $2 in 2017. Low milk prices have made the past two years difficult. Despite the news of rising prices, some are looking at the coming year with guarded optimism. Doug Dimento, director of communications for dairy farmer co-op Agri-Mark, is also approaching the new year with a mix of hope and reality. “Fluid milk is stable and other products continue to increase, but higher prices in 2017 likely won’t be enough to cover costs for dairy producers in the northeast,” DiMento said. An uncertainty over milk markets has compounded the challenges created by lower milk prices. 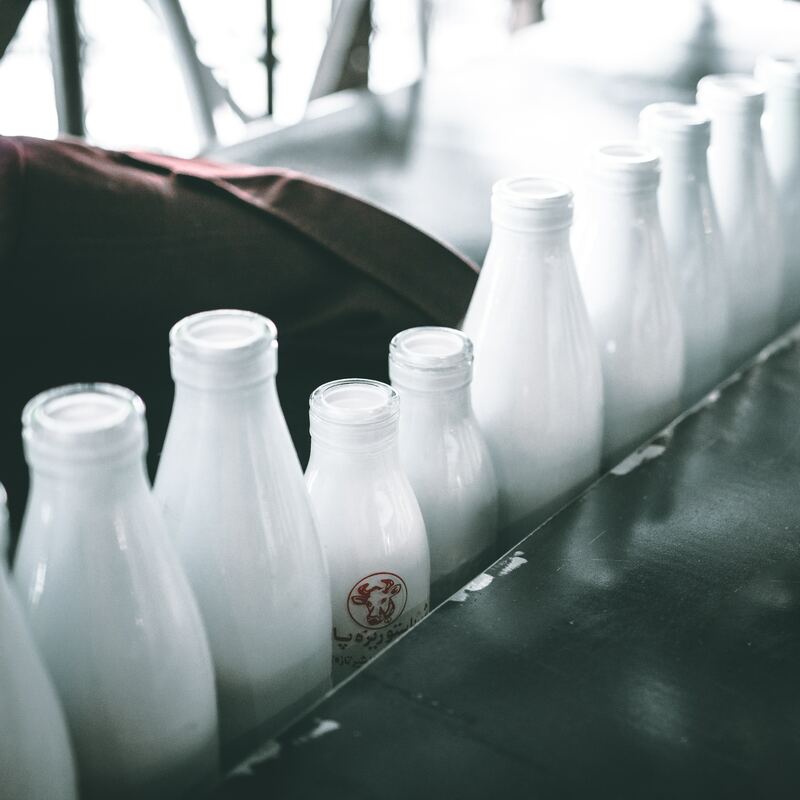 “The U.S. dairy industry is so tied to international markets that if we want to take advantage of higher prices, we have to somehow survive the uncertainty that comes along with that,” DiMento said. And contraction of the dairy processing industry has contributed to the baggage from the past two years. “Processing capacity is definitely a concern in New York. We’ve seen backlogs at processing facilities the past two years,” said Steve Ammerman, the public affairs manager at the New York Farm Bureau. Novakovic explains that it’s difficult to quantify distressed milk — milk that is unsold or sold below its class price — because it doesn’t show up in reports. “We know milk was dumped into manure digester, spread on fields, disposed of into commercial treatment plants or sold well below its value,” he said. The feed situation has complicated matters. Last year’s drought decimated crops compromising quantity and quality of feed. Since the majority of dairy farmers in the northeast use on-farm feed sources rather than purchasing supplements or processed feeds means higher costs or a reduction in production. So where does that leave dairy farmers in the northeast? Some dairy farmers are currently expanding and will continue to do so. Some will chose not to expand due to leeriness over milk prices. While the industry is hopeful that milk prices will begin to rise, albeit slowly, there are mixed messages on processing capacity. Agri-Mark is planning for expansions for its co-op in 2017 and 2018. The company has not been dumping milk and does not anticipate doing so in 2017. To keep pace with its members, the company has invested $20 million to improve capacity in its plants. And, discussion for further expansion is ongoing for 2018. However, Novakovic says that processors are predicting the opposite. “The northeast is fairly saturated in processing plants and the trend, especially in New York, is downward. A big plant in New York that processed 1.5 million gallons per day closed down in 2016,” he said. DiMento and Novakovic agree that the specialty cheese market provides the biggest opportunity for dairy farmers in the specialty cheese market. “There are a lot of Italian cheeses made in the northeast and that is where there will continue to be opportunity for farmers,” Novakovic said. No one has a crystal ball that can accurately predict what will transpire in the coming year. The predictions for higher milk prices in 2017 can hopefully help farmers stabilize and dig out of debt from challenges compounded in the past two years. Which Woodlot Professional Do I Need?